How exciting is this: Emma Petitt’s wonderful workshop Freedom Lies in Boldness that she’s been busily working on for awhile now, is finally ready for you!! Her classes are so loved by those who get to take them and I know many of you have been patiently, and keenly waiting- it’s finally here. 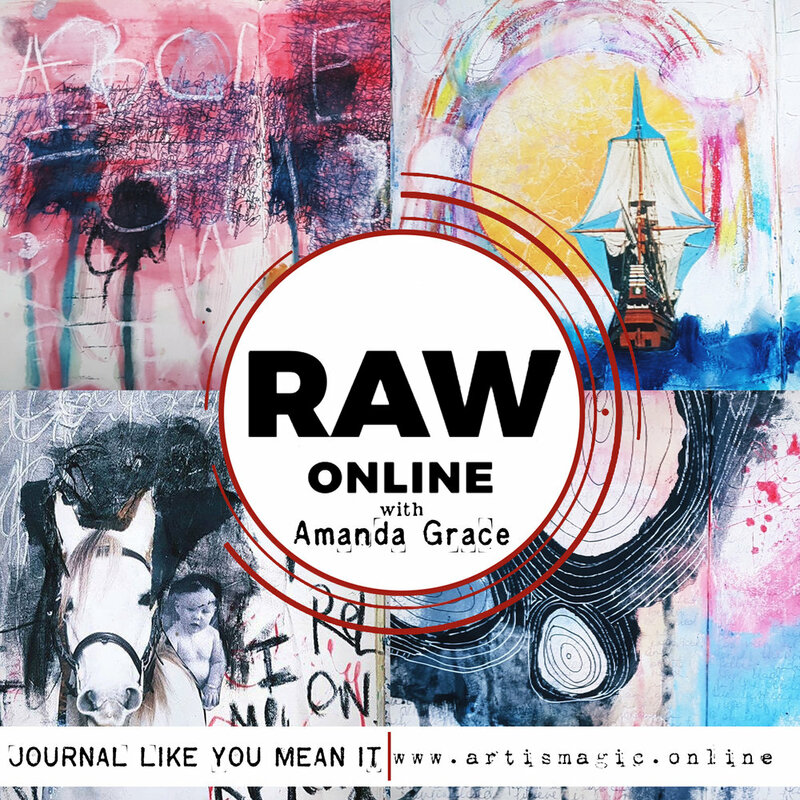 This BOLD workshop explores freedom through texture, freedom through colour, freedom through mark making and freedom through scale, and, of course, is full of her bubbly and down to earth energy, not to mention loads of inspiration. This workshop is as Given, unfolding as we go. Each new mOOn we will delve into the mysteries of a new theme dialoguing with the Divine Feminine. We will be exploring through multiple mixed media invitations always with the aim of finding your own truths and bone wisdom. We will play in the realms of archetypes and symbols, mark making, intuition, intentional creativity and so much more. We will also be held and supported by the wisdom of Sister Keepers and the circle of kindred creatives. Join our Mailing list to learn when these and other classes run. When we are stuck in our thinking mind, we can forget that we are creative beings with many different stories to tell. Below are hidden stories, skills, resources, positive values, dreams, and desires. In the down deep we listen for indications of strength and knowledge within our own life stories. 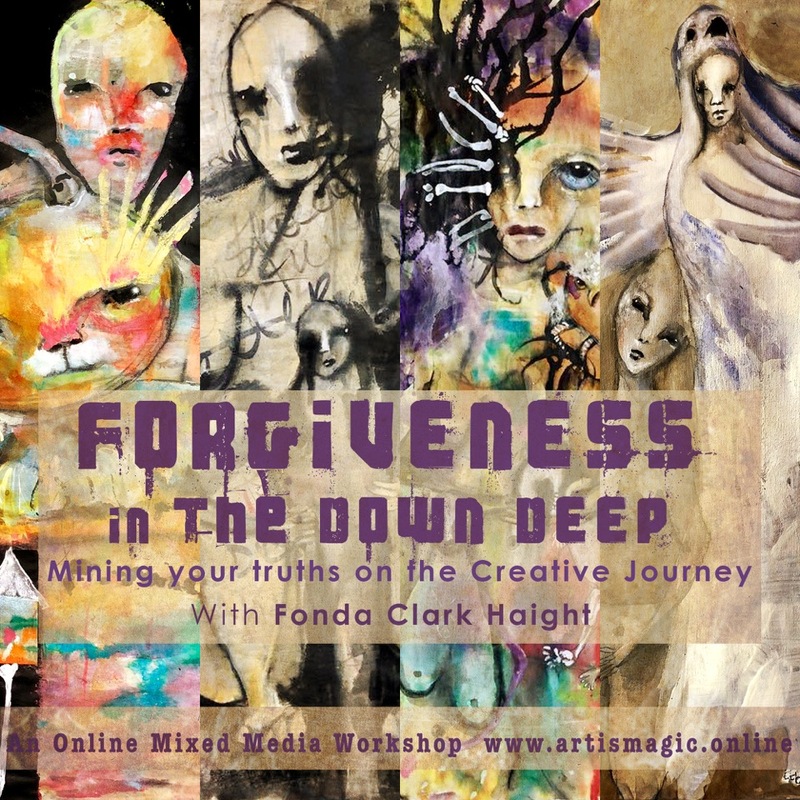 In this course you will learn how to put into practice new ways of “seeing”, of mining the down deep of your subconscious, a way to begin to understand yourself and your world thru your art. This workshop has 18 different teachers, each offering their own creative magic- different techniques and process to ignite your creative journey.